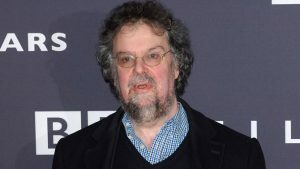 Leading scriptwriter and director Stephen Poliakoff has said he chose Liverpool over London as the location for his latest BBC drama after finding it was much more "unspoilt" than the capital. The seven-part Close to the Enemy will air on BBC Two next month and is set in a bombed-out London in the aftermath of the Second World War. But Poliakoff said he had been compelled to turn to Liverpool because it had not undergone the modernisation that had made London "impossible" to film. He said: "So much in London has been modernised inside or it is impossible to film. I have filmed in Liverpool before and it is a wonderful, wonderful city for filming because it has so many unspoilt – for period filming especially – unspoilt interiors. "It was an incredibly flexible city for that and very film friendly." Poliakoff, who has previously worked on Dancing on the Edge and Gideon's Daughter, said he had deliberately wanted to avoid CGI for the production. "It was difficult to find the right locations because I really wanted to make it without CGI because I think a lot of period drama has so much painted on that it becomes very unbelievable," he added in The Telegraph. "Obviously there are very few bombed places still around and in Liverpool we were lucky enough, there was this huge building that was once a bank and has now been turned into a hotel, which we shot the hotel in," he said. Other scenes were filmed on location in London and Manchester. The cast for the drama includes Jim Sturgess (One Day), Freddie Highmore (Bates Motel), Charlotte Riley (Peaky Blinders), Phoebe Fox (Woman in Black 2), August Diehl (Inglourious Basterds), Robert Glenister (Hustle), Alfie Allen (Game Of Thrones), Charity Wakefield (Wolf Hall), Angela Bassett (American Horror Story), Lindsay Duncan (Birdman and Alice In Wonderland), and Alfred Molina (Love Is Strange). It is being made by Little Island Productions in association with Endor Productions. Poliakoff’s long time collaborator, Helen Flint (Longford, The Take, Galavant) will produce.